Andy Blackburn is the VP of New Business at Marquee Sports & Entertainment, which is the hospitality and marketing arm of the Chicago Cubs, Wrigley Field, and other iconic properties. 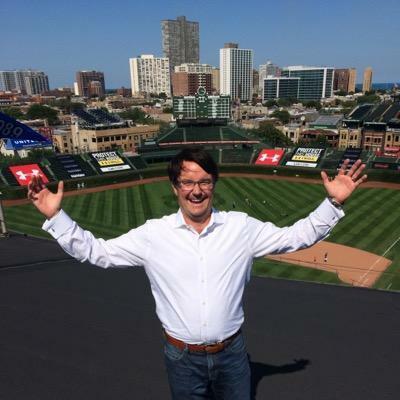 Every day, he aims to improve the in-game experience for anyone who steps foot into Wrigley Field, from team sponsors to once-a-year fans, and everyone in between. He talks about the dramatic facelift Wrigley Field, and the surrounding neighborhood, has gotten over the past few years, and how that transformation has helped modernize the team’s approach to sponsorship and hospitality. His team has created a new PGA TOUR Champions event for 2020 which is so smart with MLB spring training right there. I love that his first crack into sports was a lead through a Miami professor. Power of not just who you know, but who knows you. That job, which was selling Detroit Pistons tickets via cold calls, is the only break he needed.